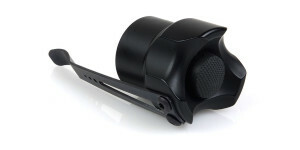 The Wasp optic is accessed by simply unscrewing and removing the outer bezel ring. A light tap should be all that is needed to get the optic to fall free from the board. Each optic has three legs which must be inserted into corresponding holes in the board. Beamshot photos were taken to illustrate the differences between the various optics. For these photos, the Triple Wasp V5 was powered by a pair of 18650 batteries at its highest output setting. 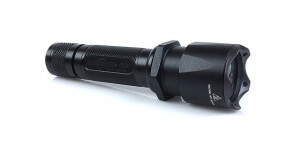 A TorchLAB Triple XP-G2 P60 drop-in (see the review) was also used for an additional comparison point. In all photos the flashlight was positioned approximately 25 yards from the wooden swing. The following slides allow direct comparisons of the beamshot photos to give perspective of the various beam profiles. The images can be compared across their full width using the slider and additional comparisons can be viewed using the navigation buttons in the bottom-right corner of each image. Designed to provide the maximum throw (beam reach) from the Wasp head, the narrow clear optic produces a large defined hotspot capable of reaching over 100 yards. The intensity of the spill beam is highest near the center hotspot and tapers towards the edges. 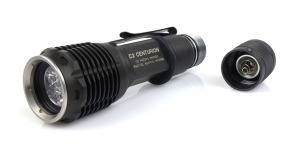 Check out the full Triple V5 Wasp review to see the narrow clear optic compared to several other flashlights. The Medium Frost Wasp Optic trades some overall beam reach for a much broader center hotspot. The spill beam tapers toward the edges providing a nice smooth beam. When a broad evenly distributed beam is the goal, the Wide Frost Wasp optic is what you need. Although it retains a hint of a center hotspot when illuminating nearby objects, beam intensity is fairly consistent from edge to edge. The new Wasp optics are a nice addition to the OVEREADY lineup and should provide enough options to suit most applications. In my case, I thought the “narrow clear” optic created a terrific beam but I have learned that the “medium frost” works best for most of my uses. Perhaps best of all, they are readily available and can be easily swapped out as my needs or tastes change. 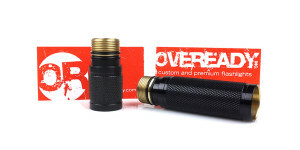 Visit the OVEREADY website to check for availability and purchasing information about the Triple V5 Wasp head. 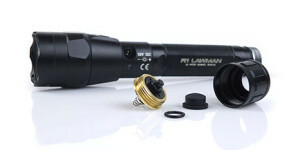 For more detailed information, be sure to read through the full review here on FlashlightGuide.com! The optics are also listed for sale separately, with pricing starting at $5 each. FlashlightGuide is an Amazon affiliate site and stands to earn a small commission on purchases made after using any of the Amazon links on this site. These commissions help support the site at no additional cost to the customer. 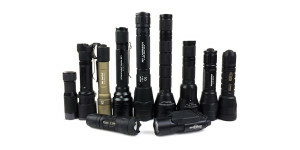 If you would like to support FlashlightGuide, be sure to check out what’s available at Amazon.com. Posted in Flashlight Accessories, Flashlight Reviews, OVEREADY and tagged Flashlight Accessories, Flashlight Upgrades, Moddoolar, OVEREADY.